One of the things you’ll need to consider when moving to NYC is the choice of a neighborhood to live in. Whichever neighborhood you decide on, you’ll need the help of reliable movers in New York. But, many people moving to NYC recently, decide to live in one of the most desirable Brooklyn neighborhoods – Park Slope. If this is where you’ve decided to relocate to, contact our experienced Park Slope movers and we’ll make your relocation quick and stress-free! Park Slope has been the most desirable neighborhood in New York for a long time. So, what makes this Brooklyn district so popular with the NYC crowd and all of the newcomers to the City? Well, there’s no easy answer to that! A beautiful bridge connecting Brooklyn and Manhattan. history – Park Slope has a long and proud history in New York. You can see it an all of the building you pass on the street in this neighborhood and in the wonderful museums located here. interesting activities – Brooklyn Academy of Music, the Brooklyn Museum, the Brooklyn Conservatory of Music and the Central Library are all interesting places in this district. So, if you’re moving with kids, you’ll know where to take them in the first weeks after your move. shopping – if you’re looking for a shopping experience in New York City, you’ve come to the right place! Park Slope has been one of the favorite shopping destinations of many New Yorkers in the past years. restaurants & nightlife – both very renowned in this particular neighborhood. If you haven’t tried them out yet, you definitely should! green areas – a lot of trees growing everywhere, which is uncharacteristic for the Ciyu, as well as the Prospect Park, all make this neighborhood very livable. It just feels so natural! access – Brooklyn is well connected to every part of NYC, especially Manhattan. So, many people who work in Manhattan still choose to call the Park Slope movers when they relocate because of the location of this neighborhood. just so, New York – Park Slope offers one of the most authentic feels of the City! If you’re looking to experience the Big Apple, this is the neighborhood to start! 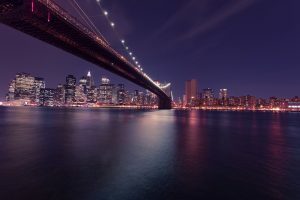 If this sounds interesting to you, but you’re not from New York, feel free to contact our long distance movers NYC and we will help you settle into your home in one of the greatest cities in the world. 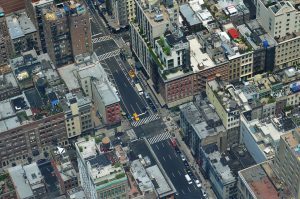 However, not everything is peaches and strawberries, and this neighborhood might not be a great choice for you if you’re not big on New York lifestyle. Sure, Park Slope is a bit more laid back than the hectic Manhattan and it’s much better for raising children. But, it’s still in NYC, which means you’re gonna live fast, eat out a lot and generally lack the time to do a lot of work around the house. So, if this doesn’t sound like the life you’d like to lead in the future, you shouldn’t hire an NYC moving company to help you relocate to the City! Why are our Park Slope movers the best? We will take on most of the work which will allow you to have more time for other things during your relocation. This means you’ll have an easier time of staying organized during your move since a lot of your moving challenges will fall on us! However, you won’t need to worry! Our moving teams are the best at what they do and they’ll provide you with relocation of your dreams! So, instead of troubling yourself and stressing out over your move, just call Dynamic Movers NYC and let us take care of the rest! Whether you’re moving to or from Park Slope, our specialists are a great choice! 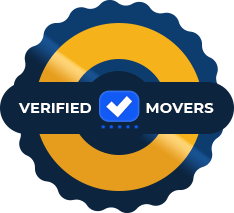 experienced – the kind of movers you’ll want on your team. The more homes a specialist has relocated the easier it will be for them to relocate your place! honest – an honest mover is a good mover. Same as people, in general. Our Park Slope movers fit the description! organized – our teams are all trained for moving a household. This means they’re well organized when it comes to preparing for the move! If you need our help when planning your relocation, feel free to contact us! professional – our teams are polite and friendly! 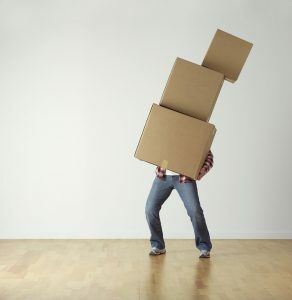 This will make your relocation interesting, but not bothersome since out movers know when to leave you alone and get to work! Finally, since every move is unique, our moving team will adapt to your specific needs. Also, you can run into many unpredictable circumstances during your move. Your furniture might not fit through your doors, or there might be delays because of the weather. This is why our Park Slope movers are ready to tackle any unforeseen situations! With our assistance, your relocation will be fast and safe. We’ll deliver all your items to the desired location and we’ll help you make your new home livable! This is how you can be sure you can always count on us! When you’re relocating to fo from NYC, you’ll need to keep some things in mind. First off, there’s safety. And by this, we don’t just mean the integrity of your items and your body, both of which will hopefully survive the relocation. No, we’re talking about how you can avoid getting scammed by false Park Slope movers, cause therein lies the danger! Luckily, the solution is easy! Hire our reliable movers Brooklyn and the safety of your items will be guaranteed! Don’t risk your safety or the safety of your things when you can hire our teams to help you!